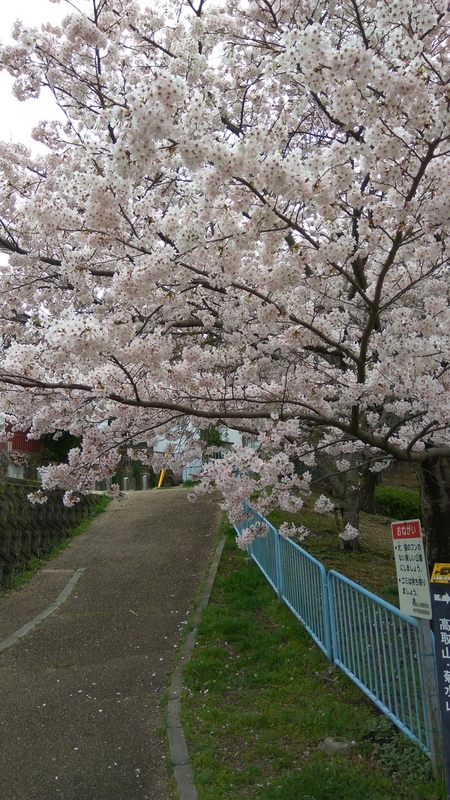 Following on from the previous post, the other close by summit was Takatoriyama. This one looked very close on the map. Occasionally, we had seen hikers going past Meagan’s house so it looked like this was the on a popular hiking route. The SOTA radio gear was put in the pack and we headed up the road. At the end of the street, it looked like a dead end. I was about to turn around, when a really old guy hunched over yelled out and pointed to some steps at the end of the street. The steps looked like they were on someones property. He shuffled over and gave directions is Japanese (that I could not understand), but I got the general idea with hand actions. It must have been my hiking gear that made me look like a lost hiker. I thanked him and we continued. We went up the stairs and then to a lane and at this point, my mapping application (Maptrek with Open Street Maps) showed a dotted line. The track continued to a small park with a playground and then to the right there was a hiking trail. 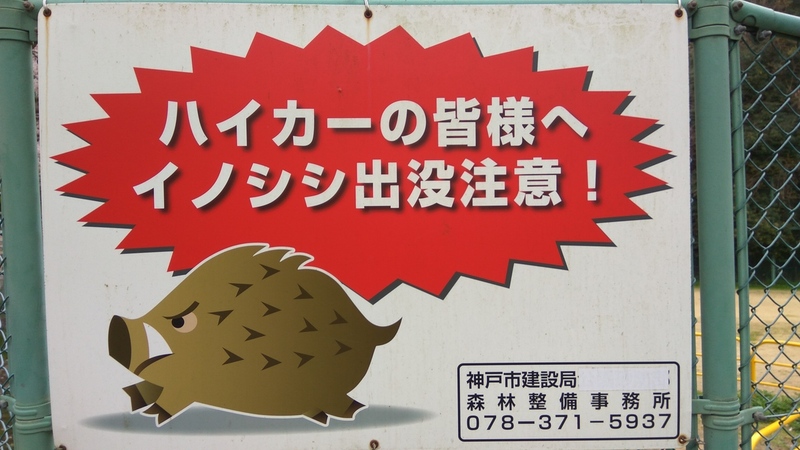 At the start of the trail a sign warned of the dangers of wild boars in the area. We didn’t come across any but there was evidence of digging along the track, not sure whether the boars were responsible! The walk was reasonably steep with some really great views along the way. We saw many other hikers on the way and practiced our greetings as they went past. About a km in, there was a sign to the summit with the altitude in metres. We turned left up there. 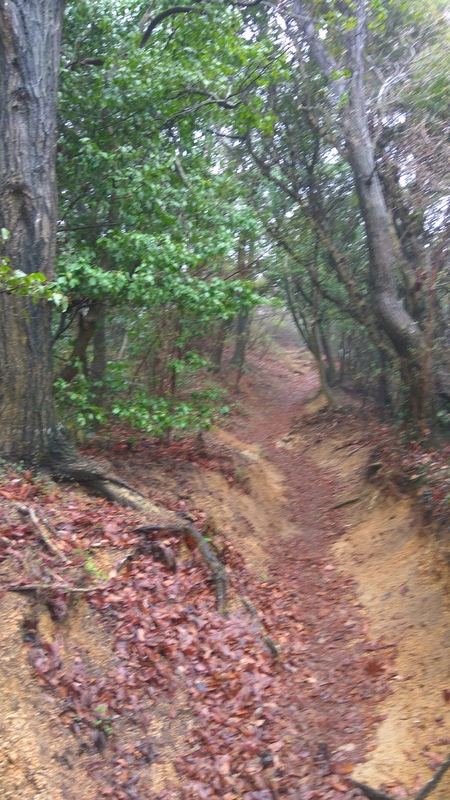 The track went past a small clearing (an ideal SOTA location) and then to a small walled area at the back of the shrine. I went back to the SOTA spot and tied the squid pole to a tree. For the antenna, only the 15 metre section of the End Fed Half Wave was rolled out due to space constraints. The noise floor was very low which was encouraging. 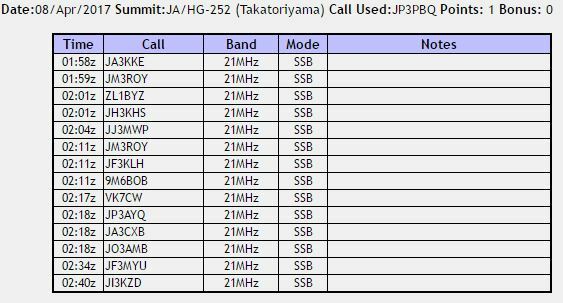 After a CQ as JP1PBQ, a few JA stations came back. Shortly after I worked ZL1BYZ and then VK7CW which was a nice distance. 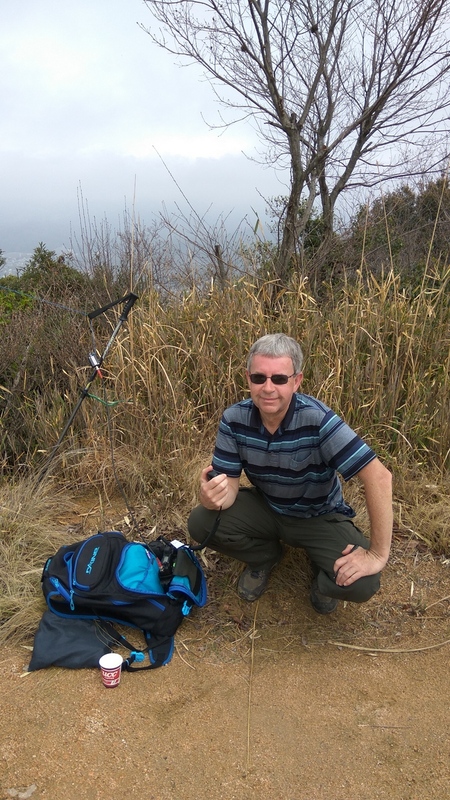 I also worked 9M6BOB in Borneo with very strong signals both ways, it must have been the sweet spot for propagation at that time. 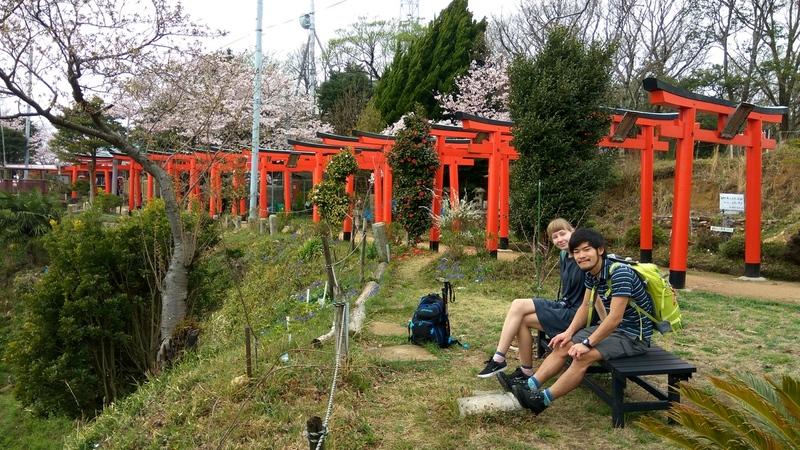 Weather was holding out, so the station was shut down and we went over to the first shrine we saw and had a look around. 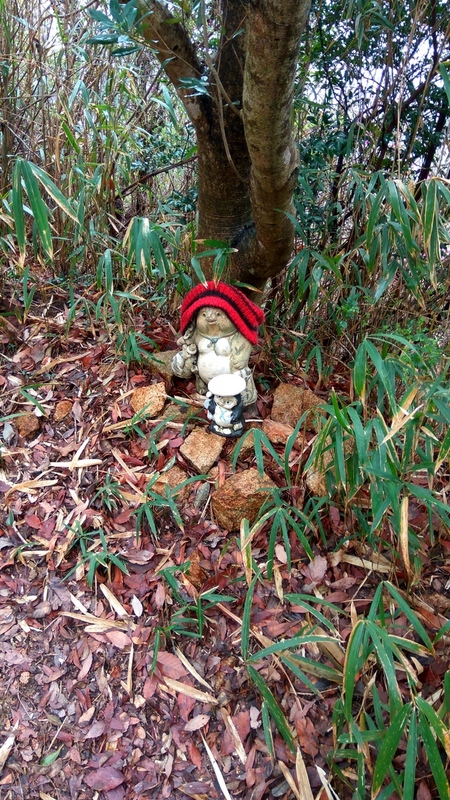 The guy care taking the shrine gave us lots of information on other hiking trails and the shrine itself. It was in Japanese, so relied on translations from my daughter. The hike back was uneventful, although just as we got back to the street, the rain came down, so another nicely timed activation!